Two more Senate Republicans pledged Thursday morning to vote against President Trump’s emergency declaration, all but guaranteeing that the Senate will pass a resolution disapproving of Trump’s border wall money grab. 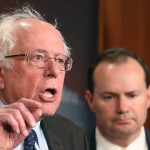 The Senate has passed a resolution aimed at ending U.S. support for Saudi Arabia’s ongoing war in Yemen, a rebuke to President Trump that may force him to issue the first veto of his presidency. President Trump has rejected a GOP measure that would change the law on future emergency declarations, eliminating what appears to be the final last-ditch attempt to avoid the Senate publicly rebuking the President on his border wall declaration. In his unofficial return to the campaign trail, Joe Biden spent more time talking about Adlai Stevenson, Franklin Delano Roosevelt and Lenny Bruce than President Obama. 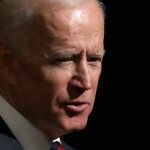 WASHINGTON–Joe Biden not-so-coyly teased a presidential bid on Tuesday, basking in “Run, Joe, run” chants from a friendly firefighters union, telling them he may need their support soon — and taking some direct swipes at President Trump. “I appreciate the energy you showed me when I got up here. Save it a little longer, I may need it in a few weeks,” the former vice president told the annual conference of the International Association of Fire Fighters to big cheers. Biden took multiple shots at Trump, attacking the president for abandoning the middle class and sowing division and hate. 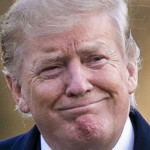 He also took a shot at Trump’s recently unveiled budget, which included planned cuts to Medicare and Medicaid, following Republicans’ massive tax cut package that has dramatically expanded national deficit spending. Biden slammed Trump for fueling division and undercutting American ideals. The event was as much a homecoming as a campaign rally. Biden got a fawning introduction from union leader Harold Schaitberger, who described him “a true longtime friend,” and talked up their four-decade relationship. “He’s always stood on the front line with us,” Schaitberger said. Biden was vintage Joe, for better or worse. In a lengthy and occasionally meandering speech, Biden spun folksy tales from decades prior about his ties to firefighters and telling how he had to ask his wife Jill five times to marry him before lamenting the state of current politics. Biden’s speech made it more clear than ever that he’s seriously leaning towards a third presidential run, after more than a year of preparation. 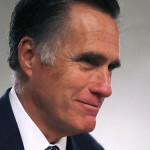 He currently leads primary polls, and has a deep reservoir of goodwill from Democrats. But it’s less than clear that this is finally his moment. Biden has plenty of baggage on racial, economic and gender issues, and his lamentation during the speech that he’d drawn flack for recently calling Vice President Mike Pence a nice guy hinted he may not have enough anti-Republican hostility for some base voters. But he showed he still has fire in the belly — and a burning desire to stay in the political mix. “This is America. So it’s time to get up, remember who the hell we are,” he concluded. Why Did Pelosi Come Out Against Impeachment NOW? 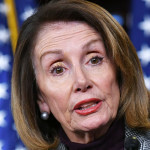 House Speaker Nancy Pelosi (D-CA) dropped a bomb on Monday, announcing she’s wholly against impeaching President Trump. After months of her refusing to publicly rule it out, why now? House Speaker Nancy Pelosi (D-CA) opposes impeaching President Trump, she told the Washington Post, her most forceful statement to date on the topic. Those remarks go considerably further than her previous comments on the topic, and come at a rather curious time since the looming investigation by special counsel Robert Mueller seems to be drawing to a close. Pelosi had previously said on multiple occasions that it was premature to consider impeachment and that she wanted to see what Mueller found — not that it should be entirely off the table. Just last week, Pelosi said that she was wary of impeachment — but that she wanted to see the report. “Impeachment is a divisive issue in our country. And let us see what the facts are, what the law is, and what the behavior is of the president,” she said. The remarks are certain to infuriate some progressives and others who believe there’s already enough evidence to impeach Trump — including some members of her own caucus. But other Democrats have been wary of beginning impeachment proceedings against the president that were unlikely to go anywhere in a divided Congress, worried that it could backfire on them and help reelect him in 2020. The remarks may be aimed at tamping down rising pressure from the left to begin impeachment proceedings. 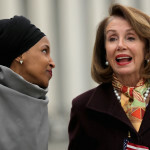 Their also raises the question of whether Pelosi, who as a congressional leader has been privy to private intelligence briefings about the report not available to the public, may have seen enough to believe there won’t be sufficient evidence in the Mueller report to build a bipartisan push for impeachment. 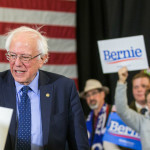 Bernie Sanders’ campaign is clear-eyed that beating President Trump is the biggest issue Democrats care about as they size up the 2020 field — and his team is doing everything they can to prove their boss is the man to do it. The Democratic National Committee has chosen Milwaukee for its 2020 presidential convention, a DNC source tells Talking Points Memo, a decision highlighting the heavy emphasis Democrats are putting on winning back the upper Midwest next year. The choice places the region squarely in Democrats’ crosshairs, two years after low turnout in Milwaukee helped hand President Trump the state and the presidency and just months after Democrats swept back to power in the state in the midterms. Trump won Wisconsin by just over 20,000 votes, a result that, combined with similarly narrow wins in Pennsylvania and Michigan, handed him the White House. But Democrats saw a major turnaround last fall, winning back the governorship for the first time since 2010 and easily holding a U.S. Senate seat. 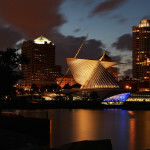 Milwaukee was chosen over two major Sun Belt cities, Miami and Houston. The other two finalists were considered more practical logistically since both had more hotels and larger downtowns to hold a major convention, but Milwaukee had a clear draw as the heart of Democrats’ attempts to rebuild their Midwestern firewall and defeat Trump next fall. The Democratic National Convention will take place from July 13-16, 2020. Republicans’ convention will take place from August 24-27, 2020 in Charlotte, N.C.
Joe Biden is back in the political arena — at least for now.